PBTBH 2400 Potency Booster Transfer - Life Quest® Formulas, Inc. The PBTBH 2400 Potency Booster - to energize male potency with orgone - life force - and attached astrological energy is made of a new Super-Orgonite® composite material that has been specially formulated for the purpose of male energy enhancement. This device carries an unconditional one-month money back guarantee. It is NOT a medical device, it cannot be used to heal any disease. The PBTBH 2400 can provide massive orgone - life force - that is enhanced with specific astrologial energies! 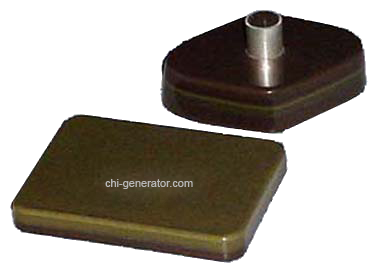 Put the Booster part next to a Chi Generator® (ideally top of the line) and carry the transfer disk on you.